There are various factors to consider before attempting to embark on a flotation or listing on the AIM market. The principal matter to consider is why you want to do it. A public quotation means you become answerable to lots of people who probably don’t know your business very well and the value of your business can move around due to issues entirely out of your control. On the plus side, you get the opportunity to raise capital for expansion and to acquire a market price for the business. There may also be the opportunity to realise some of your investment, although this can be difficult before the business has established a track record on the market. Also to consider is the the time and costs of flotation. You can assume that a flotation will take at least 14 weeks to execute, involving a great deal of senior management time, and the costs can be substantial. Some of these will be payable whether or not the flotation is successful or not due to the amount of diligence and administration involved. Below are some of the key steps and considerations involved in the process in a little more detail. Having considered all the details and on deciding that a flotation is the right move for your business, the next step is to find the appropriate advisors for your sector and market territory. As independent advisors, we can help with this tricky process through our extensive network of flotation advisors and specialists. We help you find the right team to bring you to market. Send us the outline details of your flotation requirements and we will be in touch for an informal and confidential chat. The Nominated adviser or “Nomad” system is a central element of the operation of AIM. Each company to be admitted to AIM must retain a Nomad, both on flotation and on an ongoing basis. The Nomad is responsible to the London Stock Exchange, which owns and operates AIM, for assessing the suitability of AIM applicants and AIM companies for which it acts on an ongoing basis. In the run up to flotation, the Nomad will explain the AIM Rules to the company’s board and ensure that the directors are aware of their responsibilities and obligations. This is important because the directors are responsible for the company’s compliance with AIM’s regulations, including the accuracy of the information in the admission document. The Nomad will also assume primary responsibility for the preparation of the admission document and the co-ordination of the due diligence process. Once the company has been admitted to AIM, the Nomad will continue to give advice and guidance on the AIM rules on an ongoing basis. Each AIM applicant must appoint a Broker, both for the purposes of flotation and on a retained basis thereafter. Brokers are securities houses which are members of the London Stock Exchange and are typically responsible for sourcing investors to subscribe for any fundraising undertaken at flotation. Post-flotation the Broker will seek to generate after-market trading in the company’s shares by matching buyers and sellers. Frequently the Broker will be a separate arm of the same firm as the Nomad. The lawyers to the company undertake a legal due diligence exercise into the company’s affairs on behalf of the company and the Nomad. They would also advise on any necessary changes to the memorandum and articles of association, directors’ service contracts, share option schemes and other corporate documentation. In addition, for the protection of the directors and the Nomad, they will undertake verification on each statement made in the admission document. The reporting accountants will conduct an independent review of the company’s financial records, history and procedures, review the company’s forecasts and provide comfort on the accuracy of the historical financial information included in the admission document. Companies will typically also appoint a financial public/investor relations adviser to manage the flow of information both during the flotation and thereafter. Depending on the nature of the business, the company and/or Nomad may also decide to draw on a range of specialist advisers, such as resource sector consultants, property surveyors, actuaries or insurance Brokers. The decision as to whether a company is appropriate for AIM rests with the Nomad. Once the Nomad has come to the initial view that company is suitable and all parties are happy to proceed, the Nomad will draw up a detailed timetable and set the scope of work for the professionals undertaking the due diligence. This report, typically prepared by the lawyers to the company, sets out, in respect of the company and its subsidiaries, details of items such as constitution, corporate structure, material contracts, litigation, title to assets, employment arrangements and tax. Long form report This is a detailed report on the company’s business operations and financial history prepared by the reporting accountant. This is a report prepared by the reporting accountant reviewing the financial forecasts provided by the company. Its purpose is to support the statement required to be made by the company’s directors in the admission document that the company has sufficient working capital for at least 12 months. Companies are usually required to disclose in the admission document audited historical information for three financial years prior to flotation. This is an optional statement showing the effect on assets, liabilities and earnings if there has been a significant change since the last audited balance sheet, such as an acquisition which will be completed conditional on flotation occurring. The reporting accountant will review the company’s financial and management controls to form a view as to the adequacy of the company’s financial reporting procedure. All AIM applicants must produce an admission document that describes accurately and in detail the business, activities, financial information and legal affairs of the company. The preparation of this document is managed by the Nomad with assistance from the company and the other professional advisers. A draft version of the admission document, which is finalised except for details of the funds to be raised on flotation, is typically distributed to potential institutional investors by the Broker with the intention of generating interest in the fundraising to be undertaken on the flotation. A Powerpoint presentation is typically prepared by the company with assistance from the Nomad/Broker and financial PR agency. The presentation provides details of the business and the investment opportunity. The presentation will be delivered by the management of the company to potential investors sourced by the Broker during the roadshow. The Broker will typically prepare a research report in advance of the investor roadshow. This will provide a summary of the company from an investment perspective, rather than the regulatory perspective required in the admission document. In addition, the research report will often contain financial forecasts for the company for one to three years. Forecasts would rarely appear in the admission document. The “roadshow” refers to the period when the company’s management meets potential investors. The Broker will usually arrange face-to-face meetings with institutional investors over a two to three week period. Meeting will tend to last around one hour. Bookbuilding, pricing and placing During the course of the roadshow, the Broker will speak to potential investors with whom meetings have been held to gauge investment interest. Based on these discussions, the Broker will talk to the company’s management over the pricing of the shares to be sold. With the company’s agreement, the Broker will build a book of investment to reach the desired fundraising target at an agreed price. 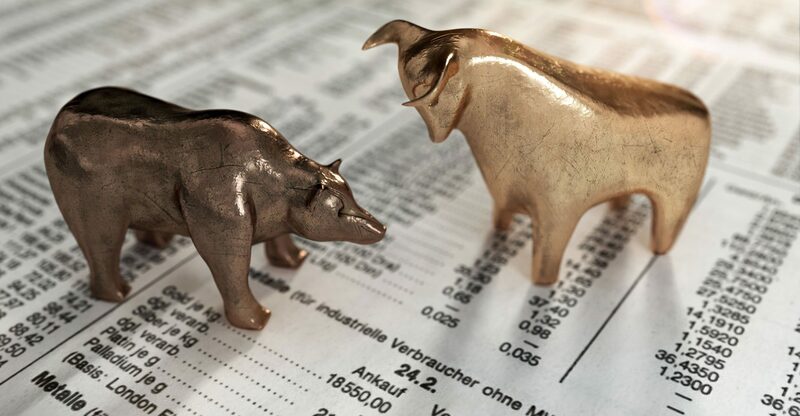 Ideally, indications of interest frominvestors will need to be scaled down, which should have the effect of providing demand for shares in the after-market. During the course of the roadshow and bookbuilding, the company will issue a Schedule 1 announcement. This must be made at least ten business days prior to the intended admission date. The announcement is a schedule of prescribed information, such as the names of directors and major shareholders. If not previously announced, this announcement publicly states that the company is seeking to float on AIM. Three business days prior to the intended admission date, the Nomad will file an application with AIM, together with the final admission document and a declaration that they are satisfied as to the company’ suitability for AIM. The shares sold to new investors will typically be delivered to them electronically on the day of admission by the Broker. The shares are usually delivered subject to simultaneous electronic payment to the Broker by the investor. These include nomad, reporting accountants, lawyers and other due diligence costs. These are mainly dependent on complexity of the business & sector, but can be significantly higher for the Main Market due to legal costs of producing a Prospectus approved by the UKLA. Incremental based on company’s market value. Actual % depends on the quantum & can be affected by sector and complexity of deal. Similar for AIM & Main Market companies – as Main Market companies usually retain a corporate adviser . Include corporate governance costs including non-executive directors as well as increased public relations & investor relations efforts. Include exchange fees, Financial PR, registrars, website, AGMs.